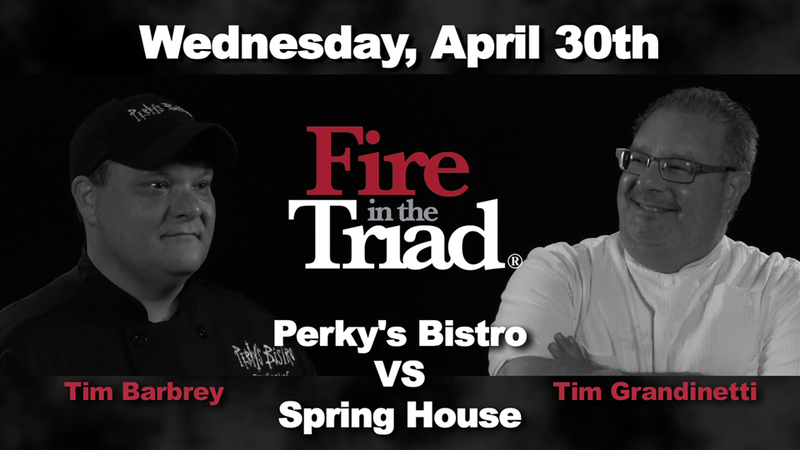 Nik Snacks is the official series blogger for Fire in the Triad! I tell the story of each competition night with photos and with words. Each night there will be a recap here and Wednesday morning, there will be commentary on the Triad's first food podcast, Tart & Tangy Triad. 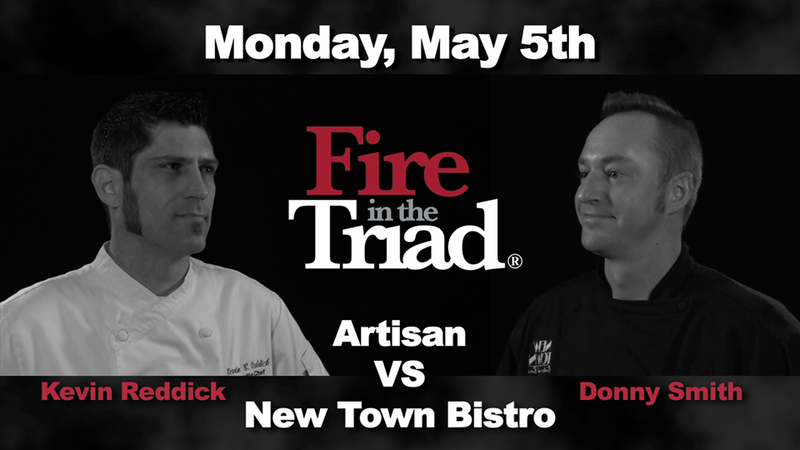 Starting April 22, 2014: Each evening, two of the region's best restaurants “battle” it out side by side in a single elimination, “Iron Chef”-style format. Each chef must create three courses, for a total of six plates, each using a “secret” North Carolina ingredient. Diners determine the winner by voting via smart phone/tablet app.Download it in Google Play or iTunes. About Competition Dining: In 2013, this unique 15-dinner competition dining experience has traveled across the state of North Carolina to Asheville/Blowing Rock (Fire on the Rock), Wilmington (Fire on the Dock) and Greensboro (Fire in the Triad). Raleigh (Fire in the Triangle) and Charlotte (Fire in the City) are slated for later the summer and fall. Each regional champion will move on to the Final Fire-Battle of Champions in November. Tickets for each preliminary round cost $74.78 ($59 plus tax and service, excludes beverages). Tickets for regional semifinal and final rounds are $87.46 ($69 plus tax and service, excludes beverages). Pick your battles and join us for as many dinners as you like. Be sure to purchase tickets early as battles fill up fast. "My competitive advantage is that I constantly create specials, beer dinners and event menus that are outside of the box." This is Culpepper's first appearance and the restaurant's first appearance in Fire in the Triad. It should be noted that the restaurant opened to fanfare from celebrity chef Brian Duffy of Bar Rescue fame. He designed a menu and was on-hand for opening night of the restaurant. The Quiet Pint is now trying to shed that image and emerge with a new identity. "My competitive advantage is that I am local! I grew up in Jamestown, NC. I know North Carolina ingredients, because I know North Carolina." This is Thompson's 2nd Fire in the Triad appearance. He competed in 2013 during the first sold-out battle of the series season. This is Harkenreader's 2nd appearance in Fire in the Triad. 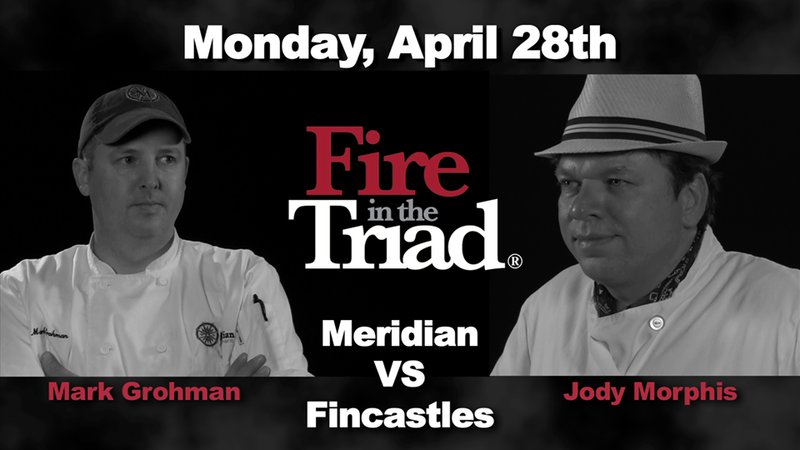 Competed in 2012, made it to Fire in the Triad finals and lost to chef George Neal of 1618 Seafood Grille in Greensboro. "My competitive advantage is that I have 20 years ownership experience, which makes for competitive quick thinking." This is Stevens' and the restaurant's 1st Fire in the Triad appearance. This is Grohman's 2nd appearance in Fire in the Triad. 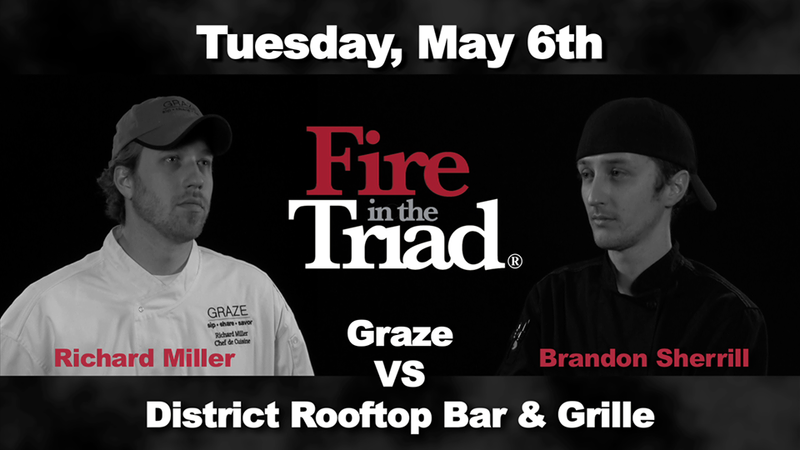 He was dealt an unfortunate hand of under-ripe watermelon in 2012, handily beat Chef Mack Parker of Diamondback Grill to meet his end against Chef Timothy Bocholis of Bistro B in the Fire in the Triad semifinals in 2013. "My competitive advantage is passion, creativity and working with a little to get a lot." 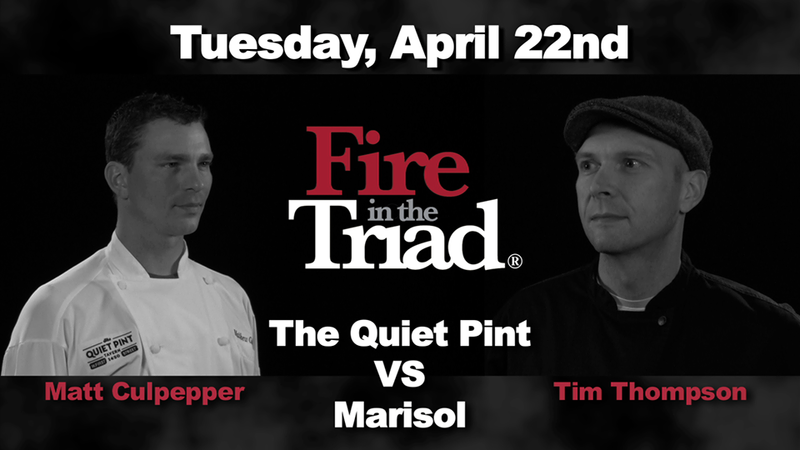 This is Morphis' 1st Fire in the Triad appearance as executive chef, but 2nd time competing. Jody competed as flex chef in 2012 with Chef Kristina Fuller of Crafted and The Bistro at Adam Farms, now closed. Chris Russell B. Christophers Restaurant in Greensboro, formerly in Burlington. This is Russell's THIRD Fire in the Triad appearance. He exited early in 2012 and 2013. Is the 3rd time the charm? 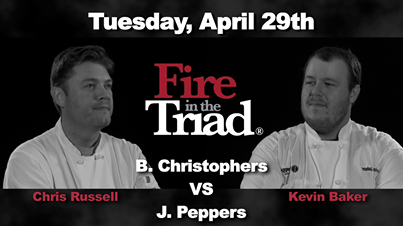 William Kevin Baker J. Peppers Southern Grill in Kernersville; Last year it was Chef Juan Guzman who floated to the 2nd round. 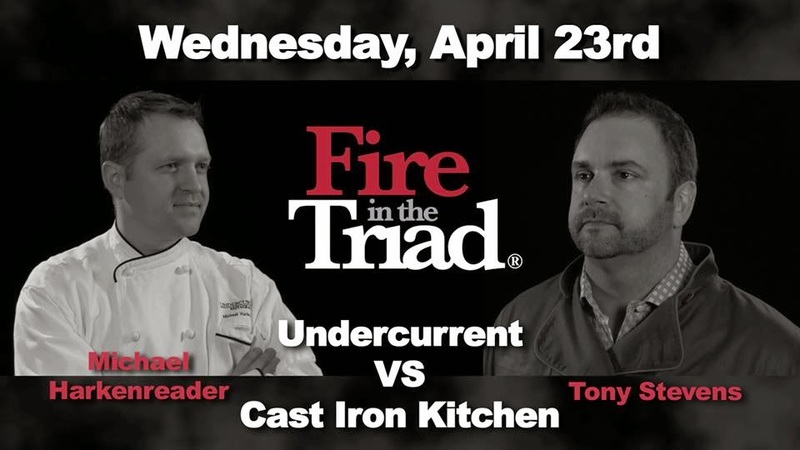 Change in ownership and chefship, Chef Baker is poised to make his 1st Fire in the Triad appearance. Timothy Grandinetti Spring House Restaurant Kitchen & Bar in Winston-Salem says,"My competitive advantage is ..."Revenge" is a dish best served cold!" 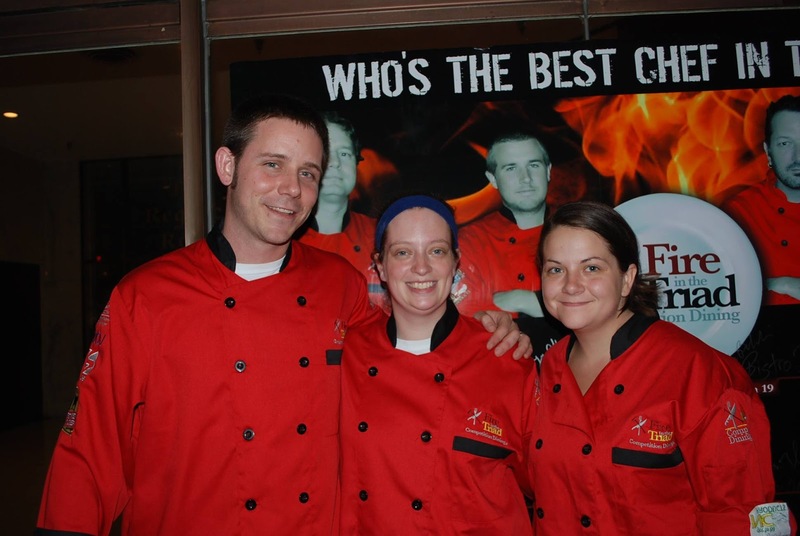 This is Grandinetti's THIRD appearance at Fire in the Triad and he is fresh off an international win of MOST DELICIOUS during Dishcrawl's Battledish in February 2014. "My competitive advantage is that I have a broad culinary background with a lot of experience in all aspects of the kitchen, a blend of old and new technique and most of all a true passion for food." This is Reddick's 1st Fire in the Triad appearance. This is Smith's 1st Fire in the Triad appearance. It should be noted that I chose to celebrate my 30th birthday at New Town and Donny was responsible for showing me and my friends a good time and executing a great menu. Richard Miller Graze in Winston-Salem New restaurant name, chef de cuisine (basically, the MAN IN CHARGE) of Graze (formerly WS Prime) "My competitive advantage is being an active, hands-on Chef who works in the kitchen, not in the office. Talent for creating complex flavors from simple ingredients." This is Miller's first appearance in Fire in the Triad. "My competitive advantage is my eclectic experience working in different restaurants gives me a wide range of styles which, in my opinion, work well in a competition of this caliber." This is Sherrill's 1st Fire in the Triad appearance. "My competitive advantage is I think outside the box and will bring complexity with high volume precision to each menu item." 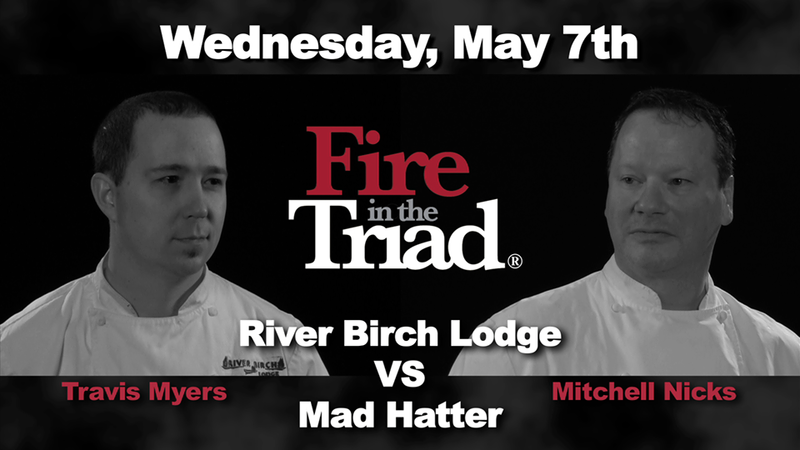 This is Myers' 2nd Fire in the Triad appearance, as he competed in 2013. Myers is also the most social media savvy chef Competition Dining has seen. Follow him @chef_myers on Twitter. This is Nicks' 1st Fire in the Triad appearance.